The Air Force Research Laboratory (AFRL), the Air Force Space and Missile Systems Center (SMC) and NASA recently tested a new type of solar array on the International Space Station (ISS). This test validated the design for solar arrays that roll up for launch instead of folding like an accordion. The new design, which is being qualified for use by Space Systems Loral (SSL) on the company’s SSL 1300 spacecraft platform, is a modular and scalable system that enables larger, more powerful spacecraft to be launched on today’s launch vehicles. SSL joined NASA and Air Force Research Laboratory in funding a company called Deployable Space Systems (DSS) in their development of this advanced power subsystem for spacecraft. In June, the Roll Out Solar Array (ROSA) was tested on the ISS, which paved the way for implementation on both commercial and government missions, which will require power ranges beyond the capabilities of conventional rigid solar arrays. 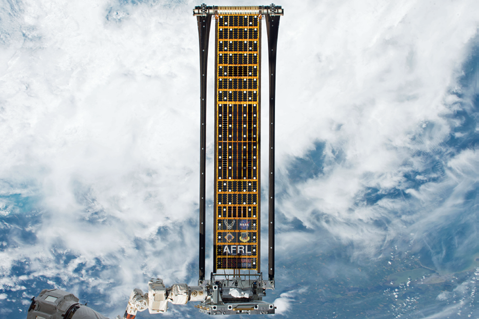 The array was delivered to the ISS on a cargo resupply mission and was positioned by a robotic arm built by MacDonald, Dettwiler and Associates Ltd. (MDA) in conjunction with the Canadian Space Agency. ROSA uses rolled booms and flexible, light-weight mesh to support photovoltaic cells designed to power satellite payloads. ROSA is able to support a greater number of solar cells than a standard solar array, and can also provide the high levels of power required for spacecraft that employ large scale solar electric propulsion (SEP) systems. SSL is a leader in SEP and is the first adopter of this new array design. The company has provided extensive ground testing and development of ROSA’s integration onto its evolutionary 1300 platform that has been proven on more than 110 commercial missions. 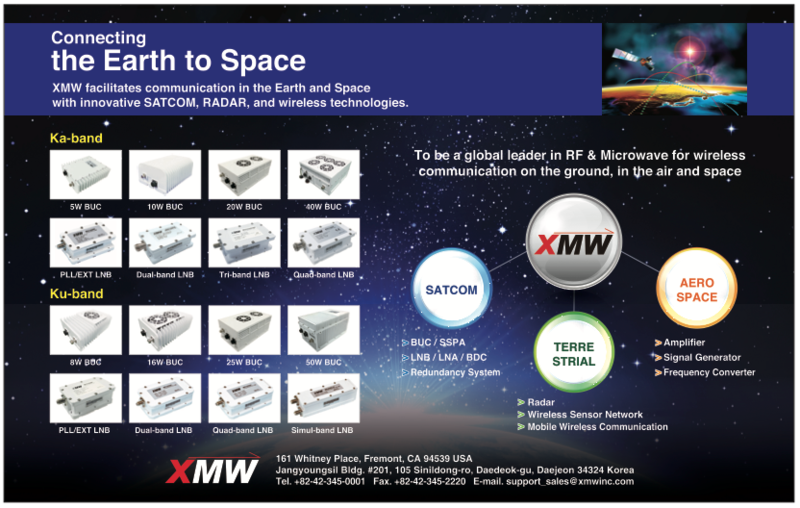 SSL is happy for DSS, whose innovative technology has now been successfully demonstrated in space. Over the course of more than five years of working together, SSL found DSS had the ability to translate creative ideas into flight hardware with high value and high reliability. The core technology used in DSS’ design is the elastic roll-out, slit-tube booms, made up of multiple composite plies. Solar cells are mounted to a flexible fiber mesh, which is stretched between the booms. The booms and fiber mesh are rolled onto a mandrel for storage during transport and launch and are unrolled for deployment in space using the damped release of stowed energy in the booms. Photo of the ROSA demonstration on the ISS. Image is courtesy of NASA. The flight demonstration equipment tested in June was a small-scale version of the ROSA design; however, DSS has worked with SSL to develop a larger scaled version for use in SSL’s commercial product line. The measurement data obtained during the on orbit testing validated the DSS analytical models, which will allow for scaled performance predictions. The successful ISS demo has helped to qualify the main mechanical components of ROSA, while SSL’s ground testing efforts, which are near completion, will qualify the integrated ROSA blanket assembly at full scale. ROSA technology is a key element in SSL’s future product roadmap and the company expects that it will be valuable in the increasingly competitive spacecraft marketplace both for commercial and U.S. government missions. SSL has already proposed the ROSA array for several different spacecraft and expects to integrate it into a flight program very soon. The ROSA design offers a number of significant benefits over traditional rigid arrays. Top among these is its scalability to provide very high power, beyond what would be possible with traditional rigid technologies. At power levels of 30-kW and above, ROSA is very mass and volume efficient. The simplicity of the design, which uses fewer mechanical components than rigid solar arrays, is expected to provide improved reliability, which is a key concern for satellite and spacecraft operators. In addition, the array’s modular construction allows for multiple form factors and upgraded solar cell technologies with minimal changes to the basic qualified design. This extensive flexibility makes ROSA an attractive solar array solution for multiple spacecraft bus sizes and shapes as well as for applications requiring future growth options with minimal additional design work. Power remains one of the biggest benefits provided by the ROSA design, which enables technology for very-high-power systems and surpasses the capabilities of rigid arrays. SSL has studied the development of a ROSA configuration that provides the power needed for NASA’s Solar Electric Propulsion (SEP) missions — on the order of 50 kW or greater. DSS has also demonstrated a prototype solar array for NASA called MegaROSA. This array is capable of delivering up to 500 kW and can be compactly stowed and then deployed using multiple ROSA winglets on a backbone structure. With this technology, NASA can plan future human exploration missions where high-powered solar array capabilities, along with high-powered electric thrusters, propel human habitats and cargo modules to planets such as Mars. The AFRL successful flight takes ROSA from theory to real-world application, validating both the design and functionality of the system. 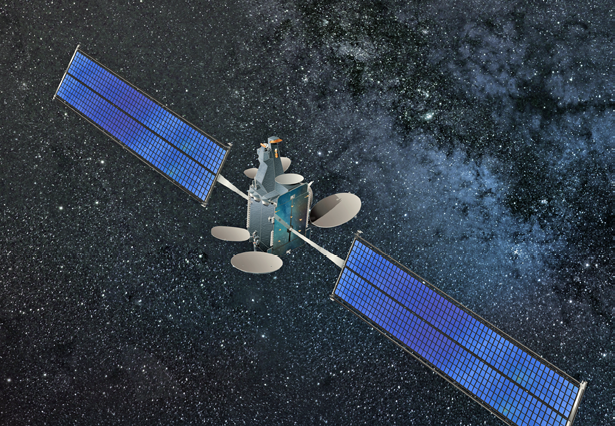 When integrated with the SSL satellite platform, ROSA will be of great benefit to commercial and government space programs, providing the high power and high reliability that SSL is known for. SSL commends DSS and the government agencies that have supported the program. The new solar array is an excellent example of commercial industry working together with the U.S. government on a new technology development that will benefit a plethora of missions. Implementing the new roll out solar array is one more step toward an ecosystem that will enable deep space exploration, habitats and missions that have not yet been imagined. Dr. Matteo Genna is the Chief Technology Officer and Vice President of Product Strategy and Development at SSL, where is he is responsible for advancing SSL’s capabilities in a variety of markets. He directs the company’s innovations in geostationary satellites, robotics, small satellites, and advanced systems for space infrastructure and exploration. 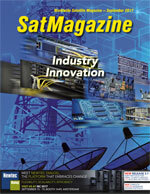 SSL designs and builds innovative satellites and spacecraft systems and is a leader in commercial satellites for services such as direct-to-home television, video content distribution, broadband, mobile communications, and Earth observation.